The specialty crop company was founded in 1989 by Kevin and Diane Herman. Our company is the largest grower of fresh and dried figs in the world. 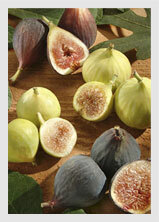 We also sell fresh frozen figs in bulk and even fig leaves for specialty food applications. 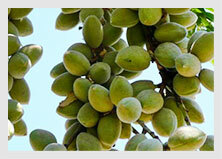 In addition to figs, we specialize in the farming of pistachios, almonds, pomegranates, citrus, kiwi and persimmons. Our ranches are located primarily in Madera and Merced counties and include properties that we own, lease or manage for other property owners. Kevin was born and raised in the San Joaquin Valley and has been farming on his own since 1978. As a third generation farmer, Kevin, has much insight and experience in farming and farm management. After working for several other farming companies, Kevin decided to start his own company, The Specialty Crop Company. He chose this company name as a reflection of his desire to pursue the growing of crops that are not just perceived as commodities, but growing crops that are perceived to be specialty products, which provide enhanced product value. A portion of our company's acreage is organically farmed helping to reduce America's carbon foot print. While The Specialty Crop Company has been ranked as one of the "Top 25 Nut Growers" in the world for the past decade, the company has remained focused on evaluating new or upcoming unique crops that have the potential for a high return on investment. We are currently experimenting with small parcels of "specialty crops" such as Truffles and Gogi Berries to assess if they fit our company model of unique and profitable crops. Should Figs Go The Way Of Apples And Become A Year-Round Fruit?